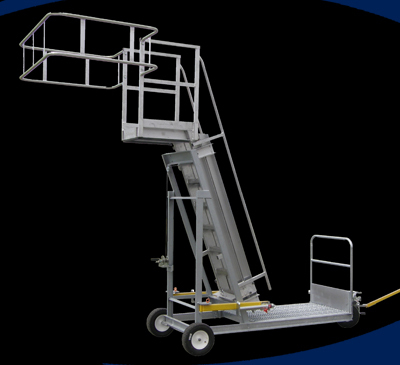 Access Platforms: Bullard company designs, builds and installs custom access platforms to provide safe operator access to valves, controls, equipment, etc. 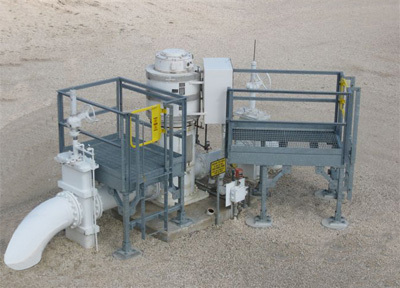 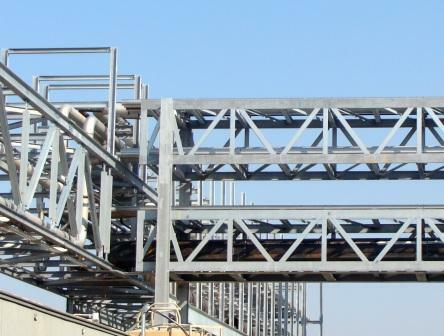 Crossovers: Bullard Company's crossovers provide a safe and efficient means for workers to crossover piping, dikes, containment walls, conveyors, production lines, etc. 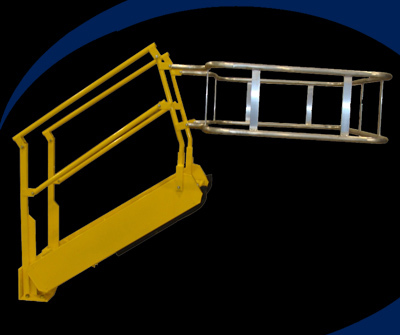 Fixed Ladders and Ladder Cages are an excellent solution to the safety issues presented while climbing on loading platforms, storage tanks, loading docks and various other applications. 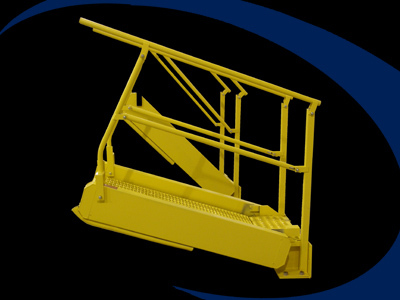 Horizontal Lifeline Systems improve operator safety while providing fast vehicle throughput. 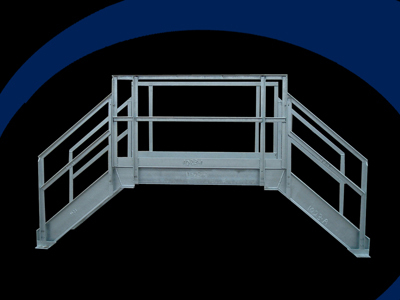 Marine Gangways: Bullard Company designs and builds marine gangways that provide operators safe access onto a variety of ships and barges. 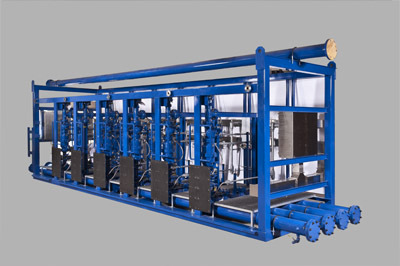 Bullard Company offers pipe spool design, fabrication and installation capabilities for placement in pipe racks, and modular loading racks. 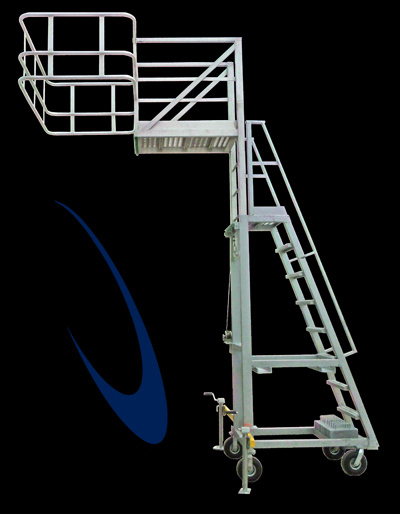 Portable Access Ladder, series PL is a cantilevered, adjustable platform designed to roll up tight to a truck or railcar, while also having the ability to "reach over"
Bullard Company's PTA series portable access platforms are designed for loading, unloading, inspection, and sampling applications. 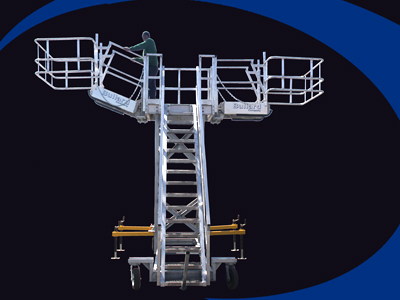 These units offer mobility over stationary units. 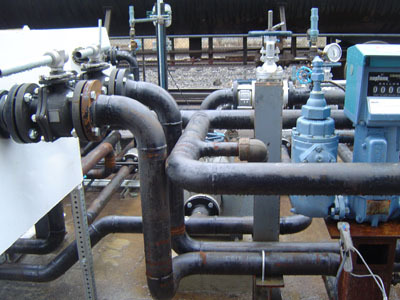 Bullard Company's process pipe fabrication and installation services are a key component to our turn-key capabilities. 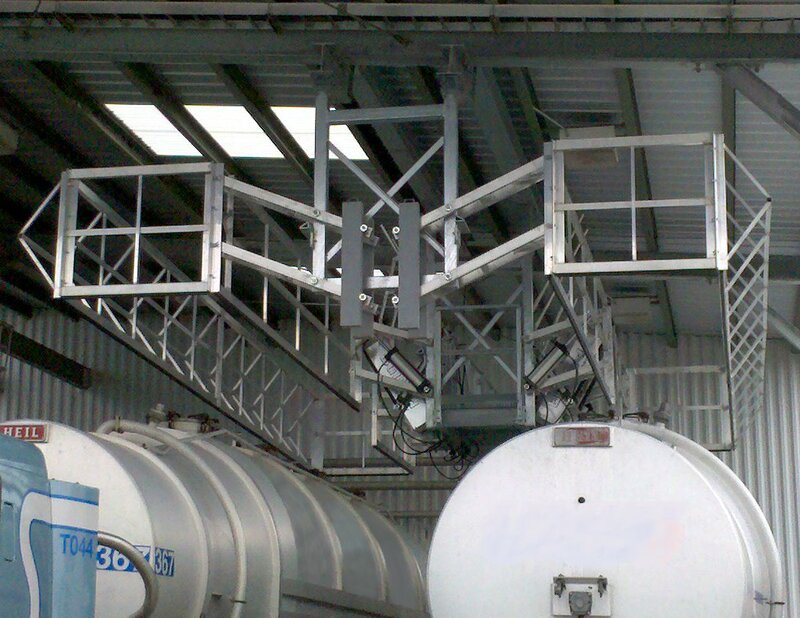 We design, build and install railcar loading rack systems to fit your loading, unloading, inspection, and sampling applications. 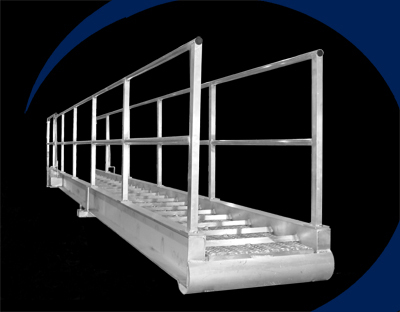 Our gangway designs provide versatility for many applications that require truck loading and railcar loading. 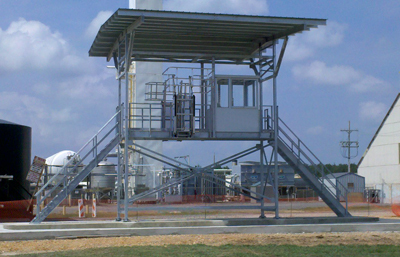 Bullard Company enclosures can be integrated seamlessly with new gangways or existing loading platforms. 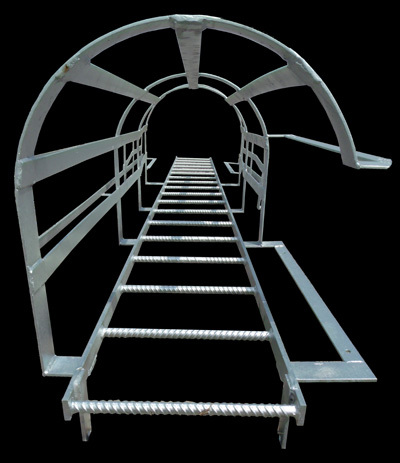 Bullard Company's gangway designs provide versatility for many applications that require railcar loading and truck loading. 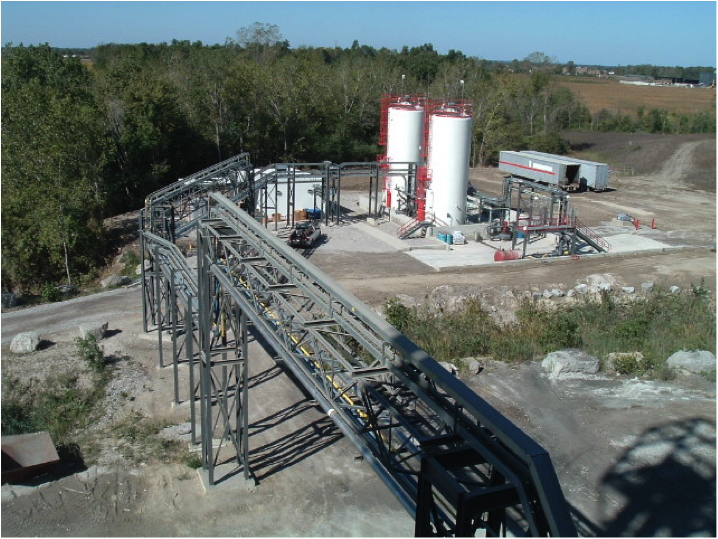 A prime example of Bullard Company's abilities is displayed in our mobile transloading equipment. 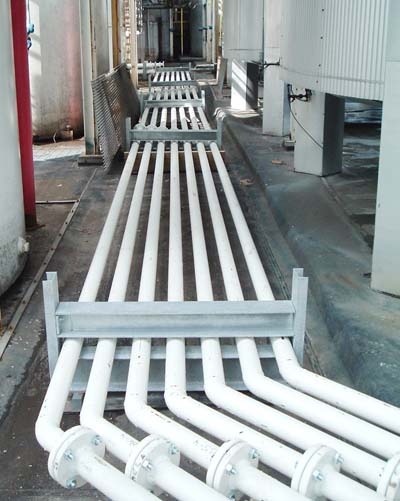 Bullard Company designs, builds and installs truck loading rack systems to fit your tank truck loading, unloading, inspection, and sampling applications.